Far, Far, Away - a reprint of the cult-status collection for Kokka - is Heather Ross's second collection for Windham Fabrics. 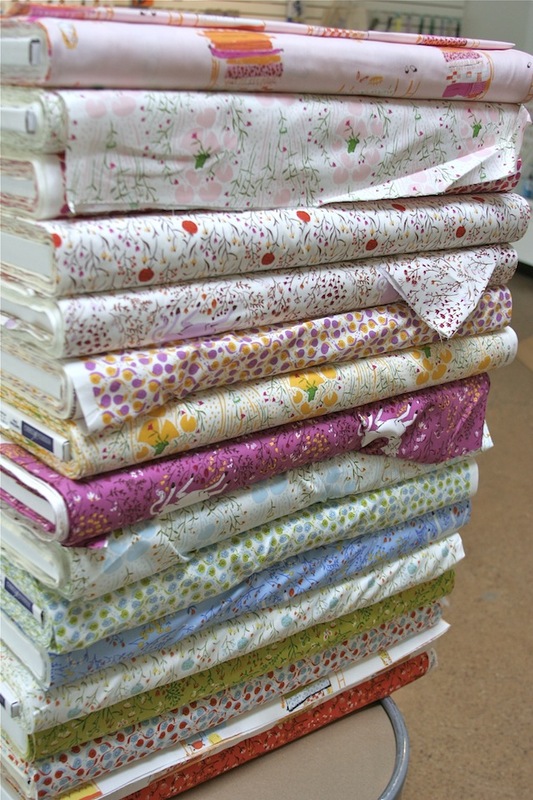 On premium cotton, Far, Far Away is comprised of 16 prints featuring her most popular fairytale themes: the Princess and the Pea, unicorns, and the frog prince. Far, Far Away is currently available by the yard, and in fat quarter and half-yard bundles. We also accept phone orders six days a week (214-366-4220) and most orders ship out the same day. For locals, we also offer the option to order by phone or online and pick-up in store.